I was standing in line at a craft store the other day and a young man dressed in Navy fatigues approached the cashier. He said he wanted to make a pillow and asked if she could point him in the right direction. The cashier seemed surprised, but I just laughed and said it’s funny how the Holidays seem to bring out the crafty person in everyone! Isn’t that so true? 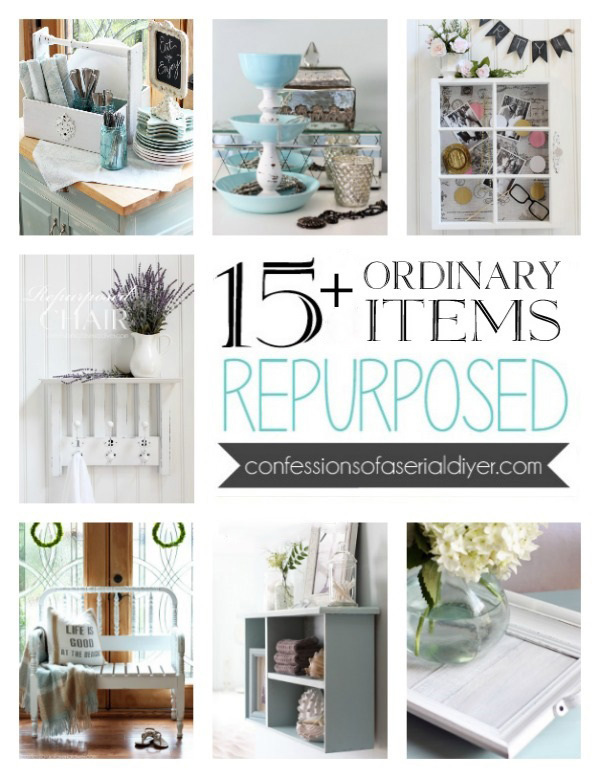 These ideas are very do-able, and oh-so-pretty! Oh and did I mention cheap? Enjoy! First up is this thrift store clock turned Holiday Shadow Box that I shared recently. This could also be a great gift idea, filled with photos and mementos. 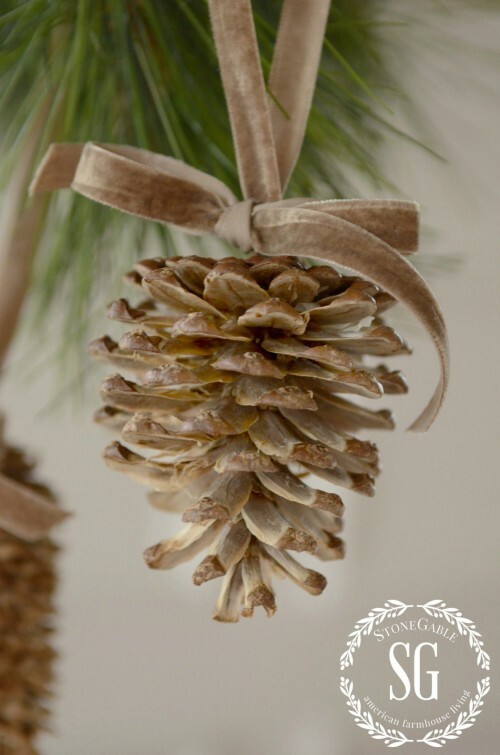 Yvonne from Stone Gable Blog has such beautiful decorating style and she does not disappoint with her gorgeous bleached pinecones! 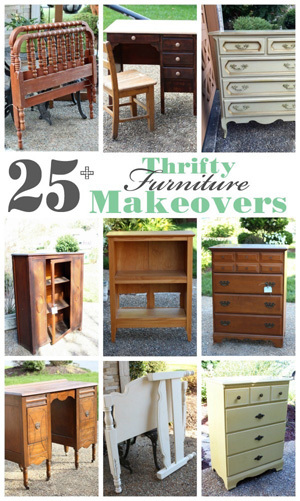 This is a project anyone can do and the results are fabulous! 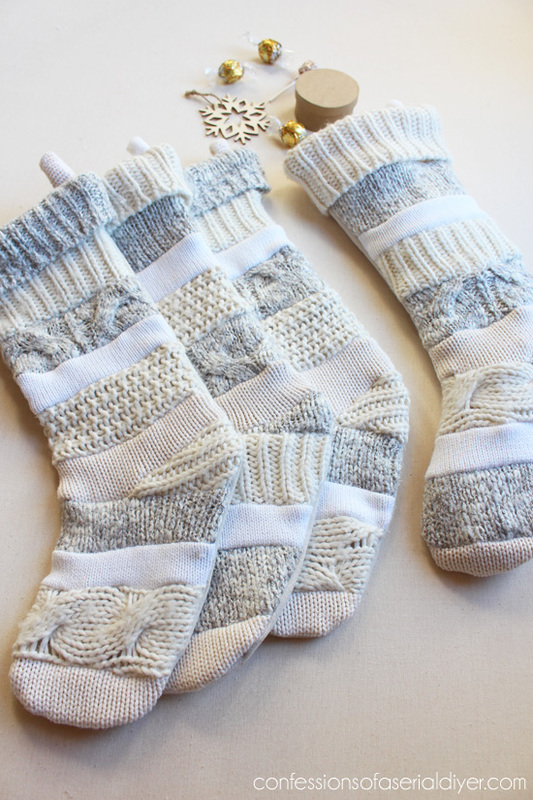 Last year I made these pretty Sweater Stockings that are similar to expensive ones from Anthropologie. I love this version and it was FREE! My kind of project! If you can sew a straight line, I promise you can do this! 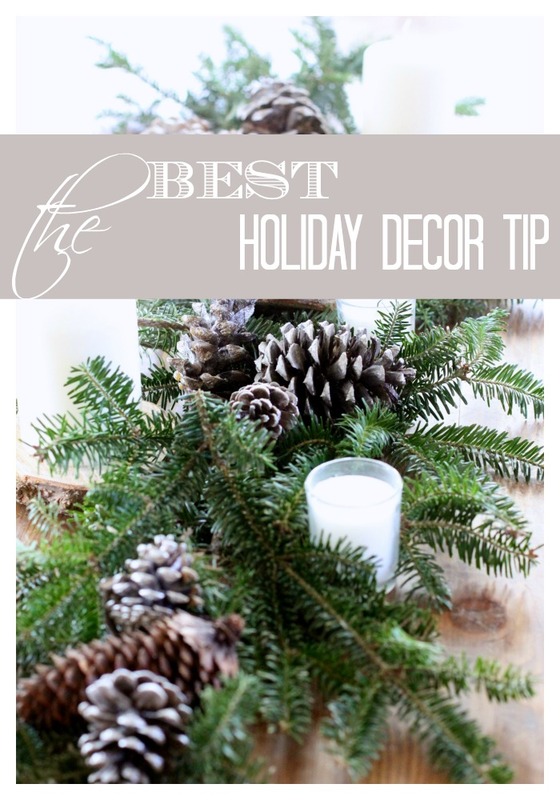 You will love this amazing holiday decor tip from Susan at Love of Home! 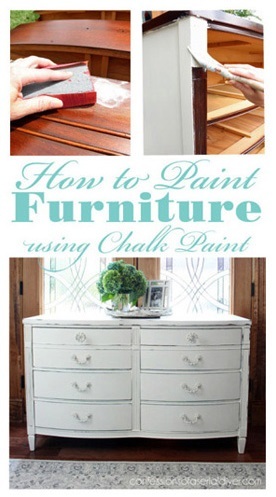 It’s another awesome FREE decorating idea! Looking for a last minute hostess gift idea? How about these Monogrammed Twig Wreath Ornaments? The main ingredient? Twigs from my yard! I love the amazing signs I see during the holidays and this one from Ashley at Cherished Bliss is so cool! 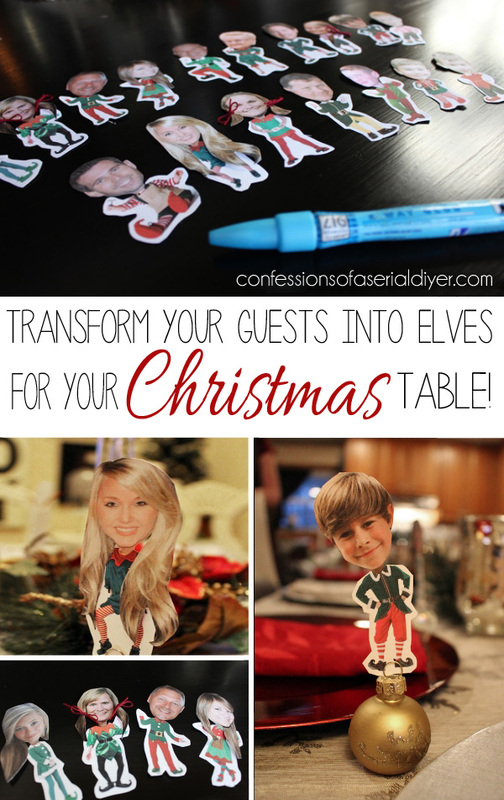 This girl knows how to make her home look so festive with a little DIY! 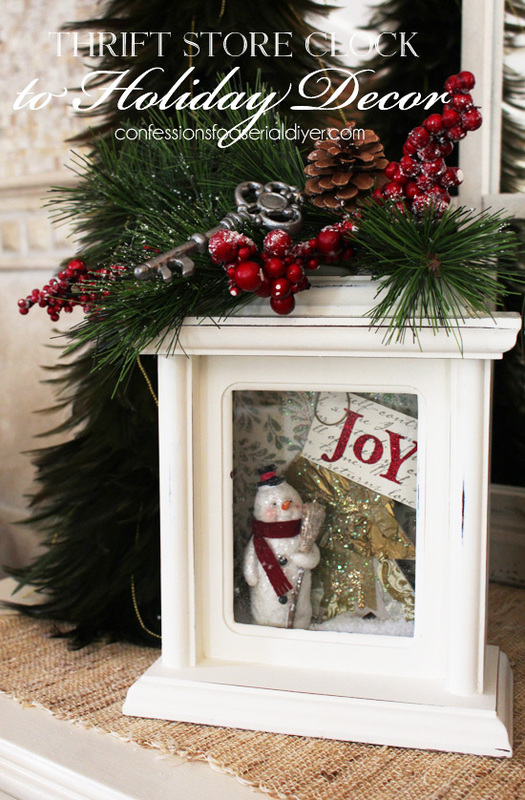 Ashely shows you how to make this gorgeous Christmas JOY sign here. 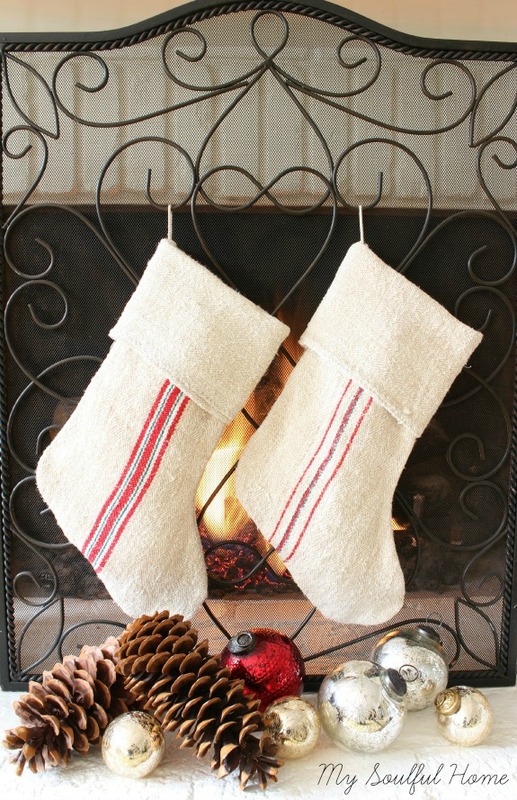 How about a quick project to make out of those sweater scraps from the stockings? Super easy and so cute (and cheap!) 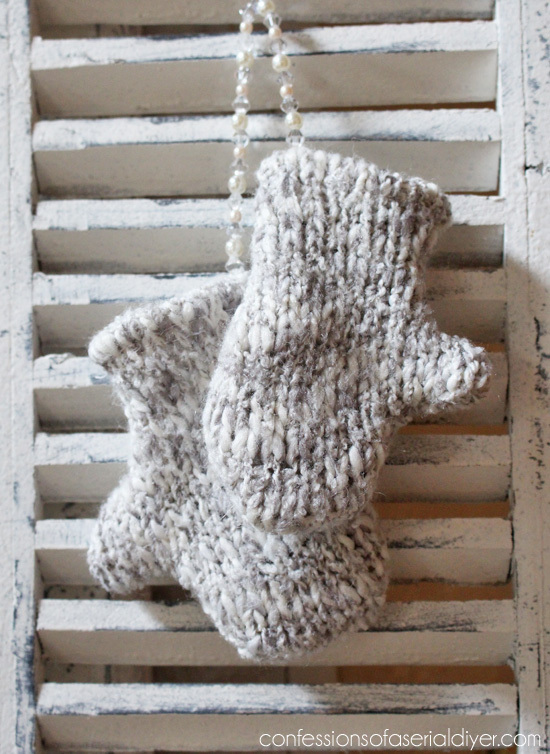 Sweater Mitten Ornaments! All I had to buy were the beads! Who doesn’t love a grain sack? 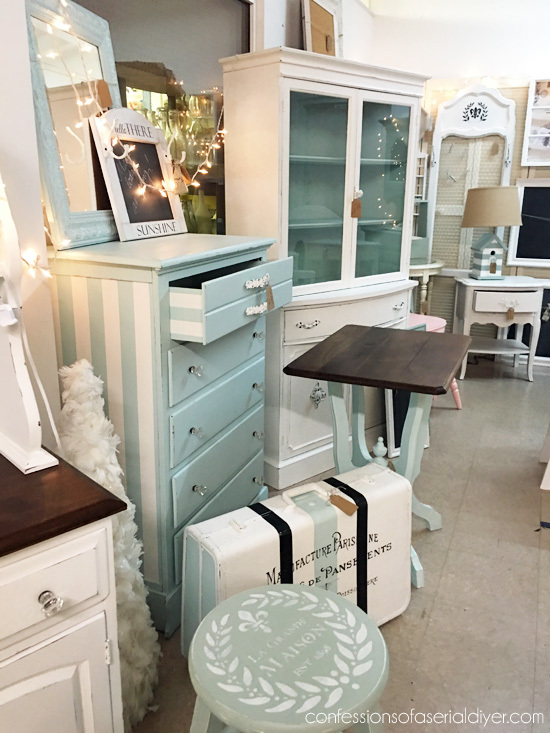 That nubby gorgeous fabric goes with almost every style of décor! Learn about grain sacks, how to care for them and more ideas on using them in your Christmas decor from Kelly at My Soulful Home. If you don’t have a vintage grain sack, you can make your own! Julie from Lilacs and Longhorns made some simple little grain sack ornaments that are so easy and inexpensive to make. You can get the full tutorial here. 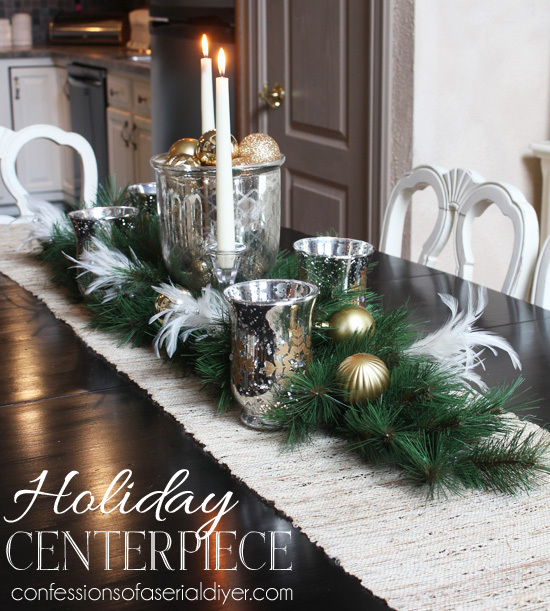 Still looking for a simple and easy centerpiece for your Holiday table? This was pretty simple to pull together using two swags I found at JoAnn Fabrics last year. I love that it’s low enough that I can still talk to my dinner guests across the table! See the step-by-step here. This is such a cute idea from Our Southern Home. 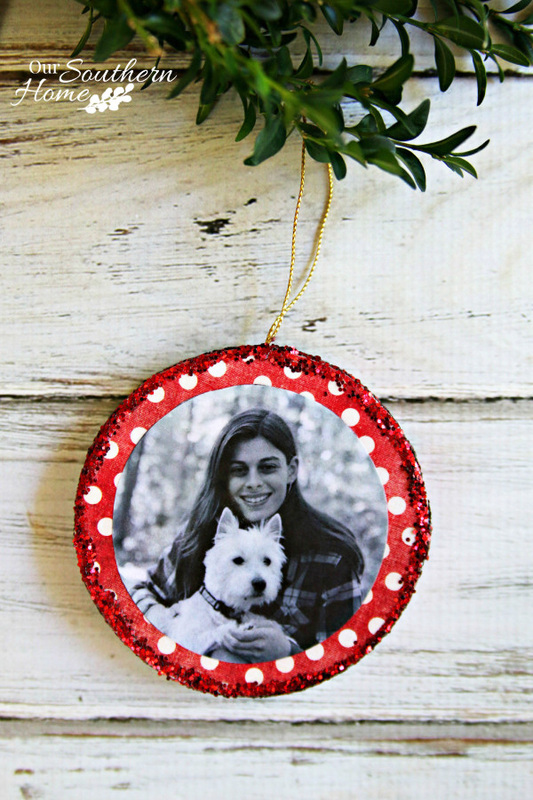 Christy used Mod Podge to create these one-of-a-kind photo ornaments! This would make great gift idea! Here’s another cute DIY ornament idea. 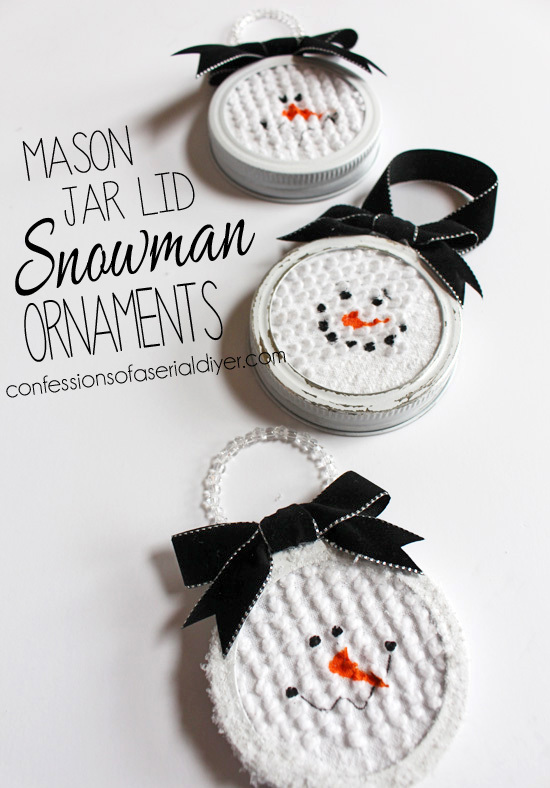 I recently shared these Snowman Ornaments I made using mason jar lids and scraps of chenille bedspread. You could swap the chenille for any fabric you like! 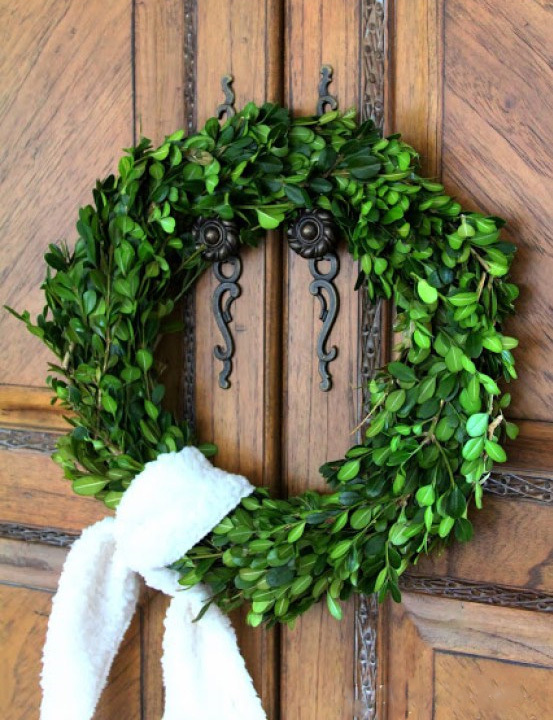 Ever wanted to make your very own boxwood wreath? They are quite pricey to purchase, but if you have a few overgrown boxwoods, you can make one yourself by following this simple-to-follow tutorial from Duke Manor Farm, Laura will show you step-by-step! 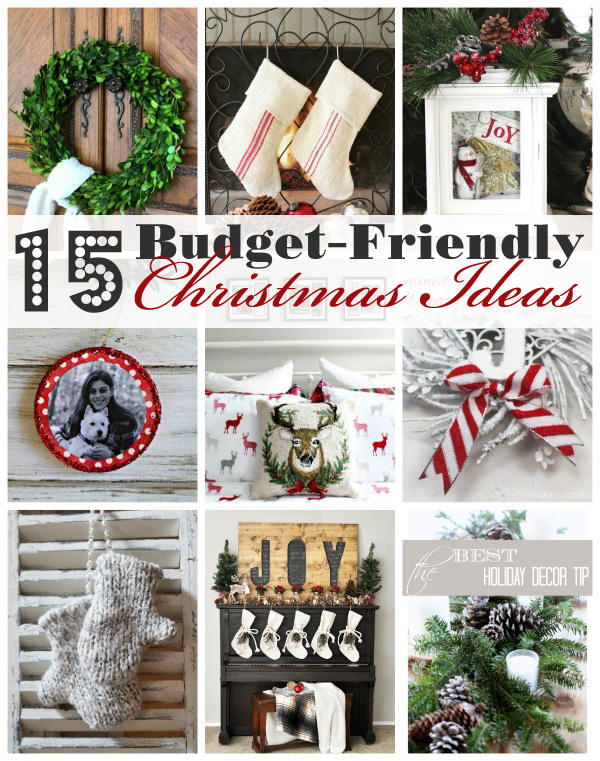 Bonus…they will look great hanging all year round! Ok this final idea, I absolutely love! 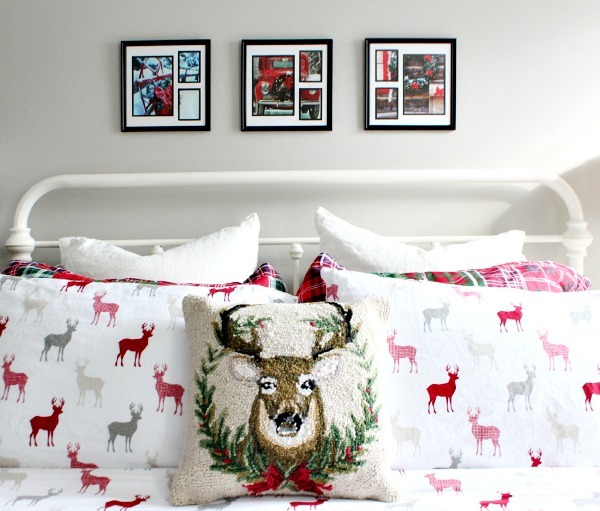 See those cute framed Christmas prints above the bed? Would you believe Debbie from Refresh Restyle made those from frames and gift bags from the Dollar Tree? What a great way to add a little Christmas cheer to your guest bedroom before guests arrive without spending hardly a thing! See more here. Hope you enjoyed this last-minute Holiday inspiration from me and my bHome friends today! 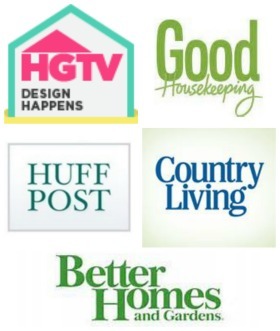 And remember, you can follow me and all of these lovely ladies on the fantastic bHome App — available on both iPhone and Android! I am so bummed right now. Saw your cute sweater stockings and realized the white patterned sweater I just gave to goodwill would have made great Christmas stockings. On the positive side…I hope someone was able to use it for the holidays, it was a new sweater but way to small for my husband. Oh that stinks!! That kind of stuff happens to me all the time! And it always seems that just when you finally get rid of something you’ve been hanging onto forever, you find a need for it!